Drinking water is a must for any working environment – whether it’s for a glass of water in the office, a cup of tea in the Nursing Home or a coffee in the Salon, all sorts of businesses benefit from keeping staff and visitors hydrated and happy. 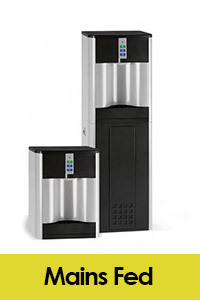 Investing in the right water dispenser will help to keep staff focused and alert, giving a boost of health and productivity to the entire workforce. Our coolers and boilers provide an instant and constant supply of high quality drinking water, with options for chilled, sparkling or hot – you can even come to us for accessories and consumables, including cups, trays, cones and bins. Stainless steel casing gives our machines a classy but robust design, and, with minimal servicing requirements, they’re perfect for high-use locations like schools, foyers, kitchens and more. 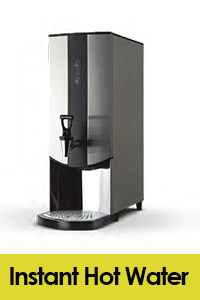 Our option of mains-fed dispensers means you can filter your own supply of tap water, or we can offer bottled coolers if that suits you best. No need to worry about installation, our professional technicians will get things set up at a time to suit you. Enquire online or call us today on 0808 163 9660 for more information and a free, no-obligation quote. At Direct365, we love providing a variety of solutions to take the hassle out of running a business, so we’ve included water coolers and boilers as part of our range of reliable workplace services. We’re all about giving a good deal, so your business can trust in us to deliver outstanding value for money. Get a free 7-day trial, free delivery and free installation with us, and feel at ease with a fixed 12-month contract. Our quality service will take the hassle out of maintaining your water supply, including dispenser, delivery, fitting and even twice yearly servicing. We make sure installation is a quick and easy process, carried out by our BWCA-accredited technicians who will come at a time to suit your business and provide a professional, hassle-free service in no time. What’s more, our flexible contracts can allow you to switch from bottled to mains-fed, alter your supply or add a dispenser with ease. Keeping things eco-friendly is important to us too – we have the correct facilities to collect, recycle and dispose of water dispensers and are fully WEEE compliant. 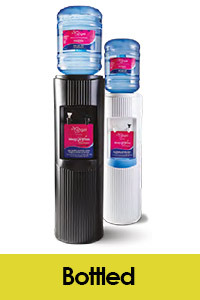 So say goodbye to the time and energy of boiling the kettle or having to deal with unfiltered tap water and pick Direct365 for high volume drinking water.